I have a few dried berries that I have been meaning to use. The pineapple from my local grocer does not have the same sweetness as Maui Gold (grown on Maui) but it came out delicious with the 3 types of berries. I made this so I can experiment with making more sweet crepes. However, this compote or sauce has many uses other than for these delightful treats. You can add this to yogurt, ice cream, or oatmeal to name a few. It can be eaten cold or warm. 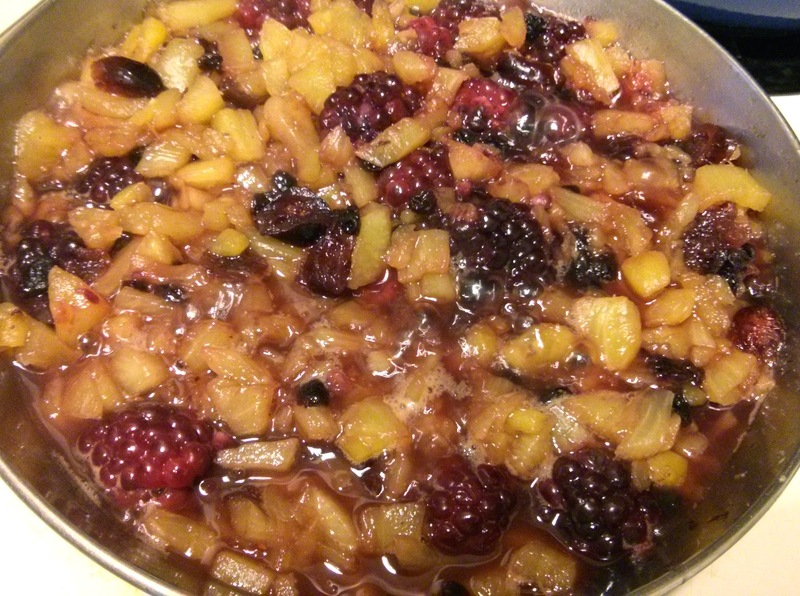 1) Add the pineapple, cranberries, blueberries and sugar to a small size pan or pot over medium high heat. 2) Once the liquid starts to boil, turn heat slightly lower to a simmer and cook for about 15-20 minutes. Stir occasionally. 3) Add raspberries and cook for another 5-7 minutes. Stir occasionally. 4) Add cornstarch and water mixture, stir a few times and turn off heat. *If you prefer the compote to be thicker add a little more cornstarch to the water. *The pretty red color came from the fresh raspberries. 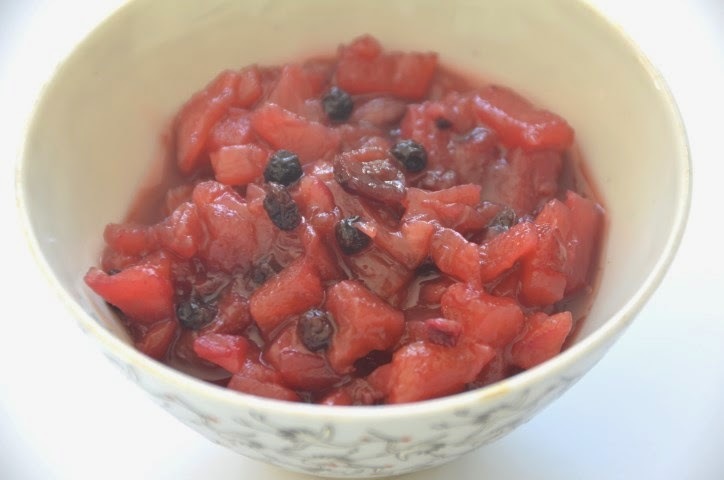 *Any leftover compote can be placed in an airtight container and refrigerated for up to a week.